I'VE written before about my love affair with an inanimate object. Well, inanimate until it's switched on. No, no, not that one … I'm talking about the split-system air conditioner I had installed in winter of 2017, no longer able to face another sweltering, record-breaking summer without one. It was January 2018 when I penned the passionate ode to my Panasonic revealing that I do actually talk to it, mainly to purr adoringly "I love you". And, thanks to another temperature record-smashing summer, I'm still doing it. Which quickly brings me to the nub of the matter - climate change. 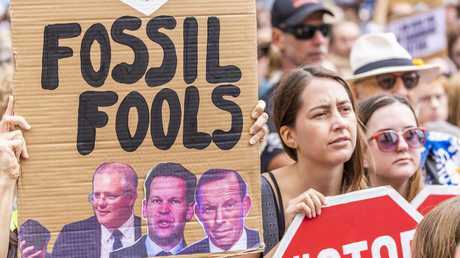 Can there really be anyone left out there, apart from a few remaining rusted on pollies and commentators, determinedly disregarding their ever-expanding armpit sweat stains as they furiously propound on the airwaves or pound their keyboards, who doesn't believe the climate is warming? Well, there weren't any in evidence at a little suburban forum I attended on Sunday arvo, where around 120 locals turned out to seize the opportunity to listen to five well-credentialed scientists and researchers speak on various aspects of climate change research, trends and impacts. But nor was there any banging of "activist" drums or sledging of those who may be, perhaps appropriately, labelled "denialists". And the political elephant in the room (representing the Coalition Government's failure to come to terms with climate change and deliver cogent policy aimed at radically cutting our emissions) was completely ignored in the interests of keeping politics out of it. Nope, we were all there to listen and learn. 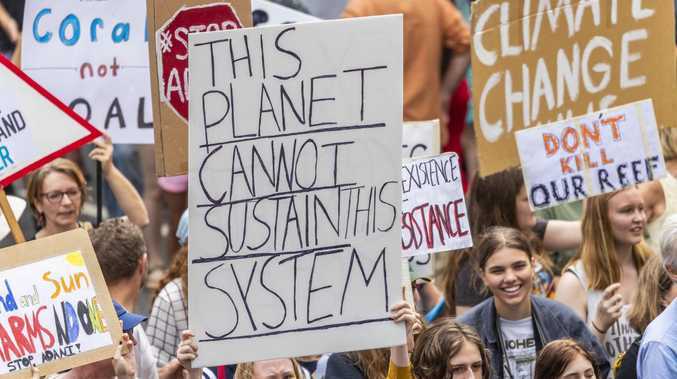 In fact, the number of people who reject global warming is inexorably shrinking as borne out by surveys worldwide and at home, including Lowy Institute polling, the Australian National Centre for Public Awareness of Science's second Beliefs and Attitudes Towards Science Survey 2018 and the Australia Institute's Climate of the Nation 2018 research report. Notably, the Lowy poll records a "dramatic" reversing of what was a decline in the public's acceptance of global warming from a high in 2006. 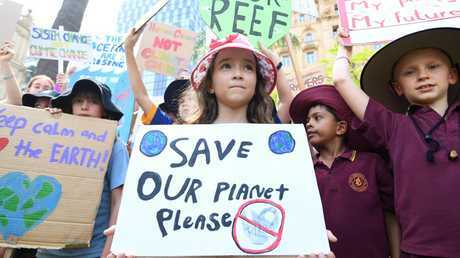 That decline bottomed out in 2012 and now, for 59 per cent of Australians, "global warming is a serious and pressing problem (and) we should begin taking steps now even if this involves significant costs". As well, 84 per cent (up from 81 per cent in 2017) believe "the Government should focus on renewables even if this means we may need to invest more in infrastructure to make the system more reliable" for the nation's energy security. And, for the benefit of those Queensland Nationals politicians currently rabbiting on about building a new government-funded coal-fired power station, just 14 per cent of respondents thought "the Government should focus on traditional energy sources such as coal and gas". Last year's Beliefs and Attitudes survey recorded that around 8 out of 10 Australians believe "there is solid evidence that the Earth has been getting warmer over the last few decades" with more than two-thirds of those saying the warming is "mostly because of human activity". Finally, the Australia Institute's research report, based on responses from 1756 people, found 73 per cent of us are concerned about climate change (up from 66 per cent in 2017) and 70 per cent agree "the Government needs to implement a plan to ensure the orderly closure of old coal plants and their replacement with clean energy". For the doubters still among us, here's some figures to keep you warm(er) at night. Firstly, the NASA and the National Oceanic and Atmospheric Administration last month confirmed 2018 was, globally, the fourth warmest on record (since 1880 and behind the preceding three years) with the world being .83C warmer than the average set between 1951 and 1988. The World Meteorological Organisation said its data also showed 2018 as the fourth warmest on record, with 2016 remaining the warmest so far. And the NOAA is already predicting a 99.9 per cent chance 2019 will be up in the top 10 too. Meanwhile, our BOM/CSIRO State of the Climate Report says Australia has warmed by just over 1C since 1910 "with most warming since 1950 … eight of Australia's top 10 warmest years on record have occurred since 2005". The report confirms "The shift to a warmer climate in Australia is accompanied by more extreme daily heat events" and "the very high monthly maximum temperatures that occurred around 2 per cent of the time in the past (1951-1980) now occur around 12 per cent of the time (2003-2017)". The Climate Report, easily accessible on the internet as are the other surveys and reports, includes sections on our changing rainfall trends, ocean temperatures, sea levels, ocean acidification and, of course, our greenhouse gas emissions. So, are we meeting "at a canter" our targets set in 2015 in Paris where nations pledged to try to limit global warming to below 2C and through which, as a wealthy developed country, we can lead by example? Well, among those who say the horse is bolting the other way, are the folk at Monash Uni-affiliated ClimateWorks Australia who this month wrote Australia is not on track to meet its modest 2030 goal for a 26-28 per cent reduction by 2030. To achieve that we need to double our emissions reduction progress - which has "stalled in most sectors and reversed overall" - and to reach net zero emissions by 2050 we need to triple it. 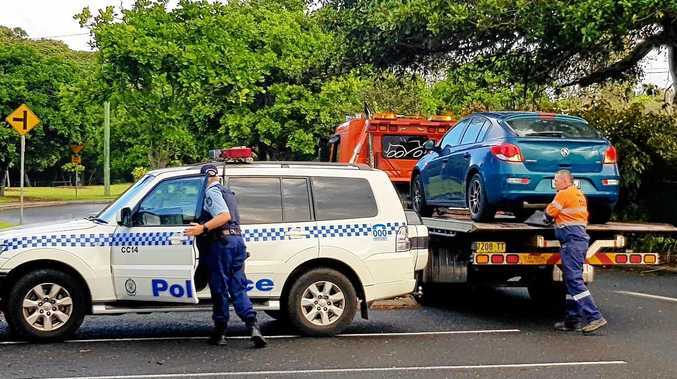 But it's doable, they reckon, by using ever developing technology along with the correct, facilitating policy settings and, here's a thought for the mob in Canberra, "just getting on with it"! Margaret Wenham is a columnist for The Courier-Mail.